A few years ago, a colleague introduced me to The Teaching Channel after I voiced the need for a video about persistence in math class to use with a group of upper elementary teachers, a group frustrated with their students’ lack of skills in persistent problem solving. I was amazed to discover this remarkable resource! Since that time, I’ve often used videos from this site while planning training to provide educators with a visual for a training objective. 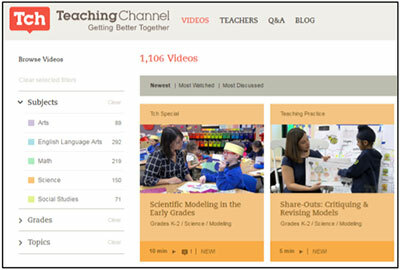 In coaching sessions, I’ve used this site as a resource to help teachers find excellent videos to use to inform their practice and hone their teaching craft. Several years ago, the ELA/Literacy Shifts were introduced to teachers in school districts across New York State with the anticipation that all teachers, regardless of grade level and content area, make these shifts in pedagogy in order to develop the necessary literacy skills students need to be successful in college and career. Did the anticipated shifts happen? Attention Content Area Teachers: You Can Help Students Understand Your Content Area While Developing Literacy Skills! Standards can be found in almost every area of our daily lives, but why do we need them? Imagine if the healthcare industry did not have standards or the food service industry. What would healthcare and food service look like without standards? I dare say the quality and consistency of healthcare and food service would not be the same. Standards provide a common language and set of expectations regardless of the industry. Watch this video to learn about the creation of the Common Core Learning Standards.